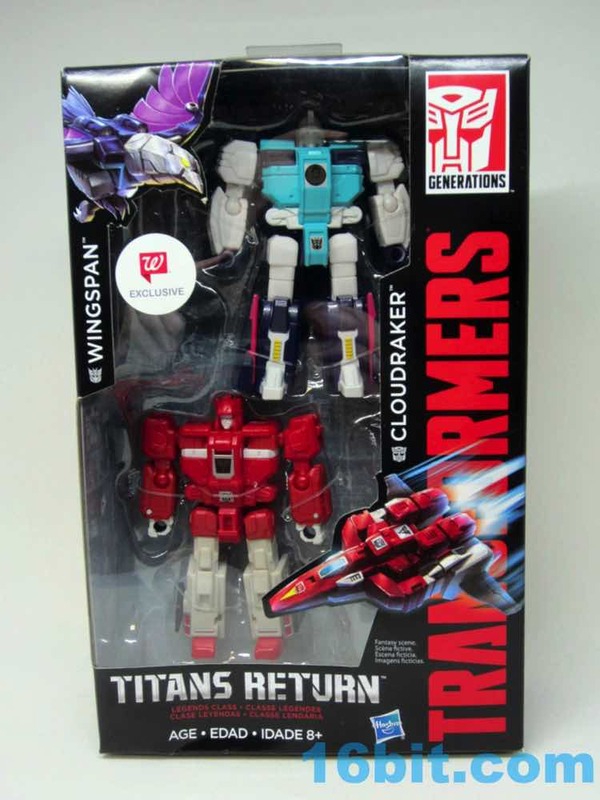 Originally expected to be parts of an exclusive boxed set, Wingspan & Cloudraker just started showing up in USA Walgreens stores. 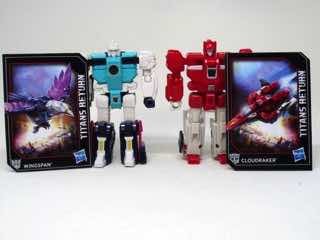 The box identifies them both as Legends, although I was informed Hasbro was saying to fans that the reason the first two clones were in boxed sets was because they couldn't be priced as Legends. Go figure, I guess. 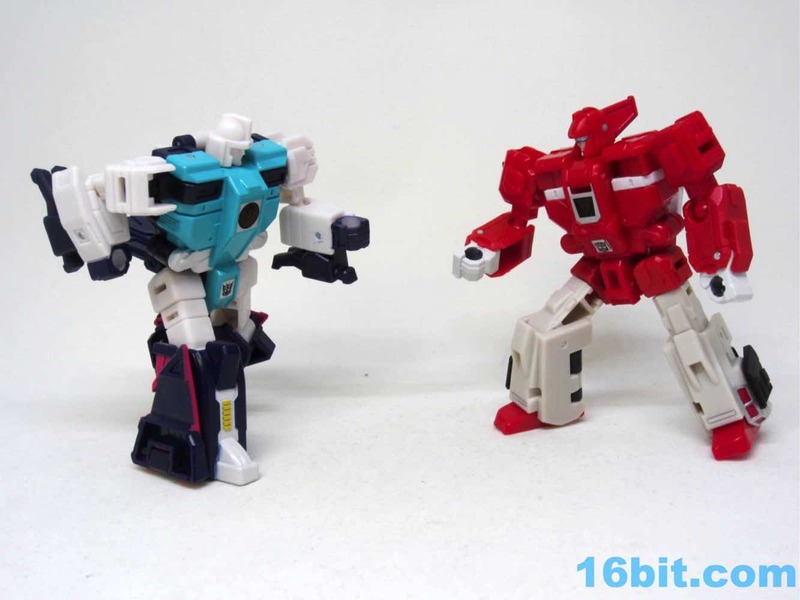 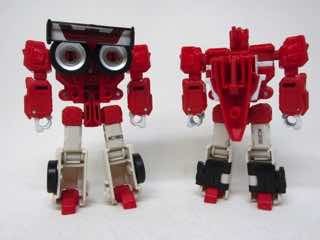 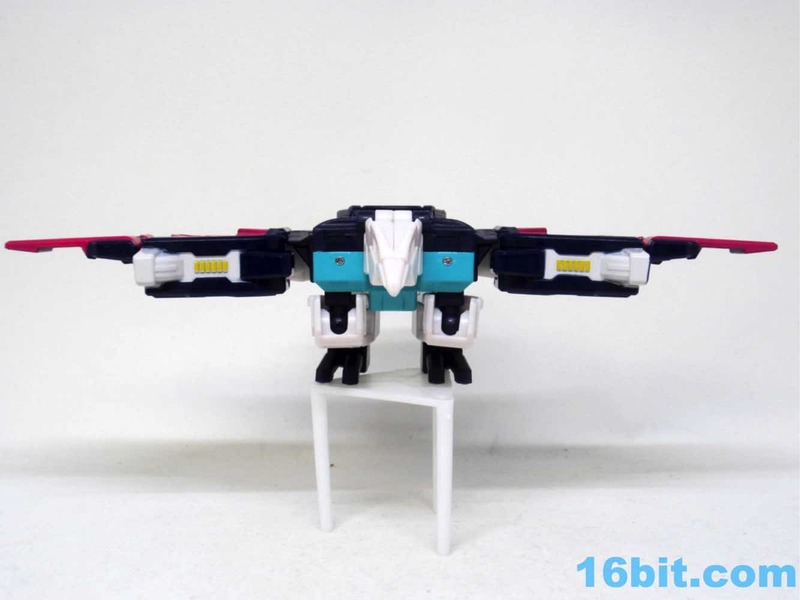 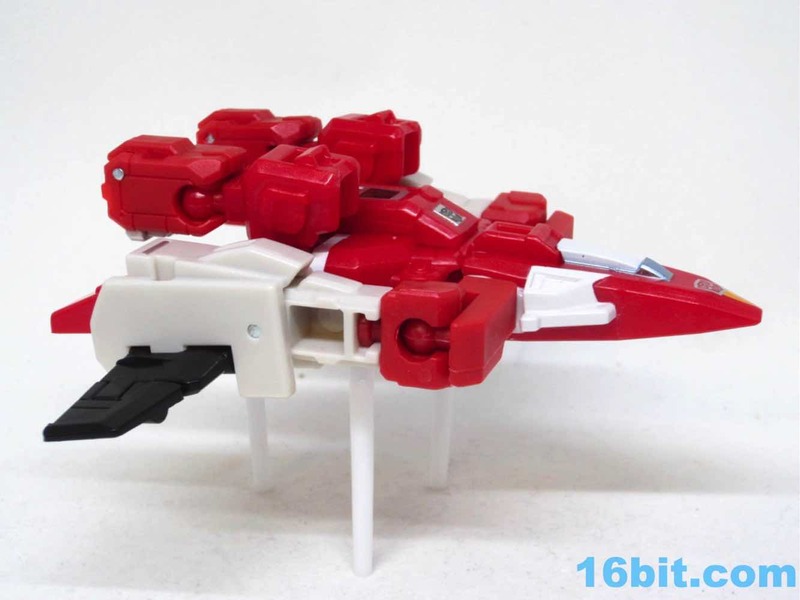 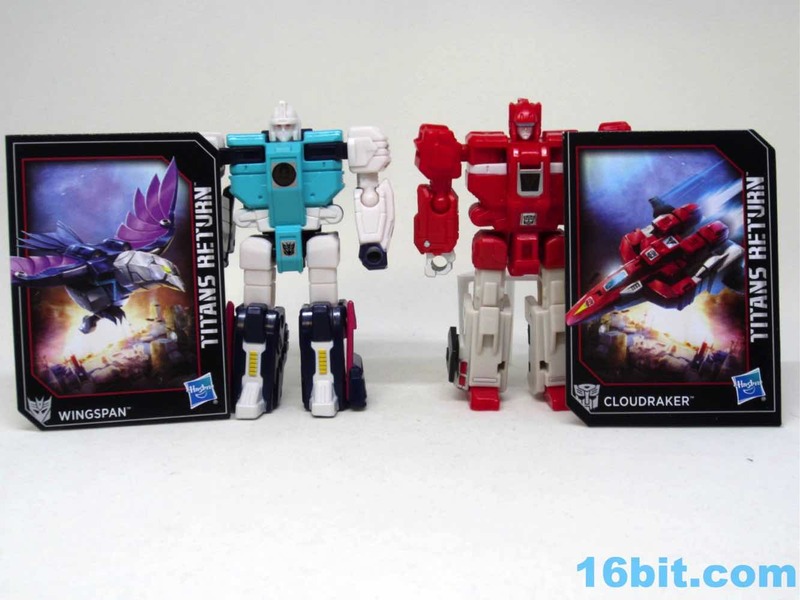 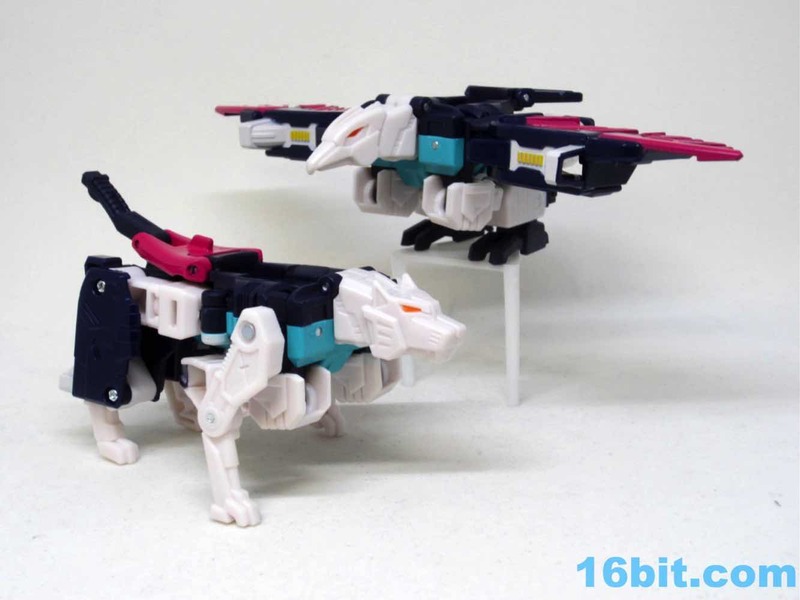 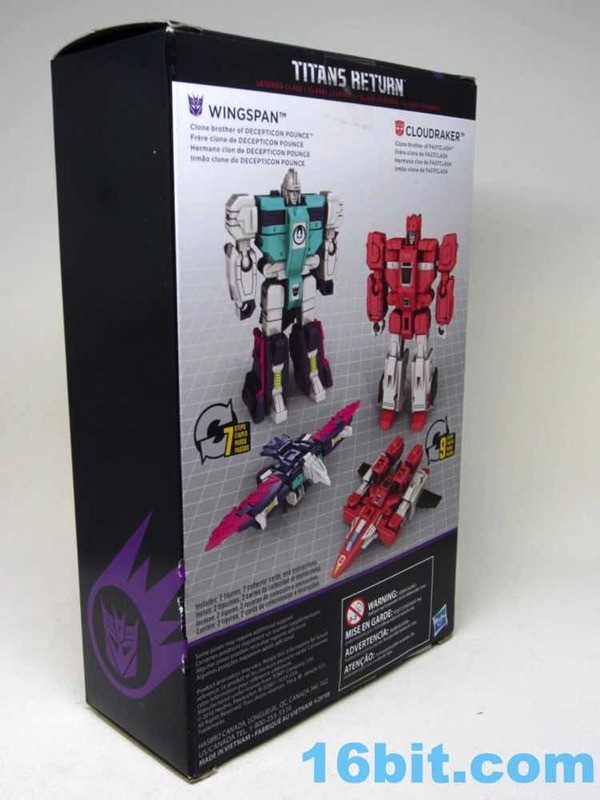 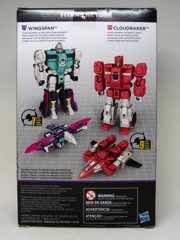 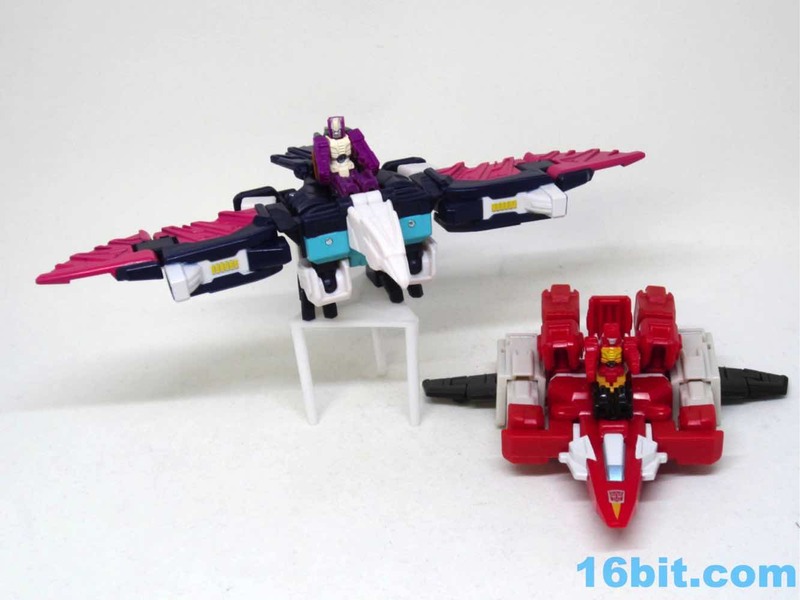 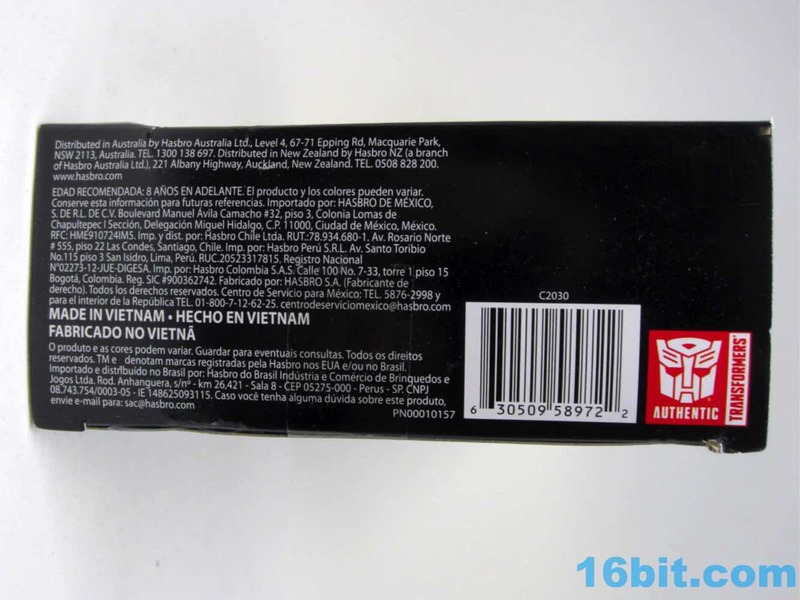 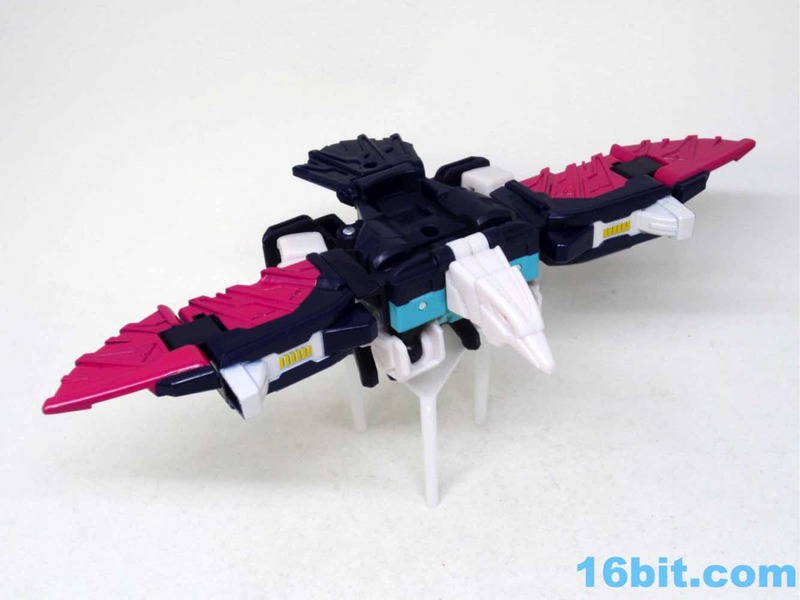 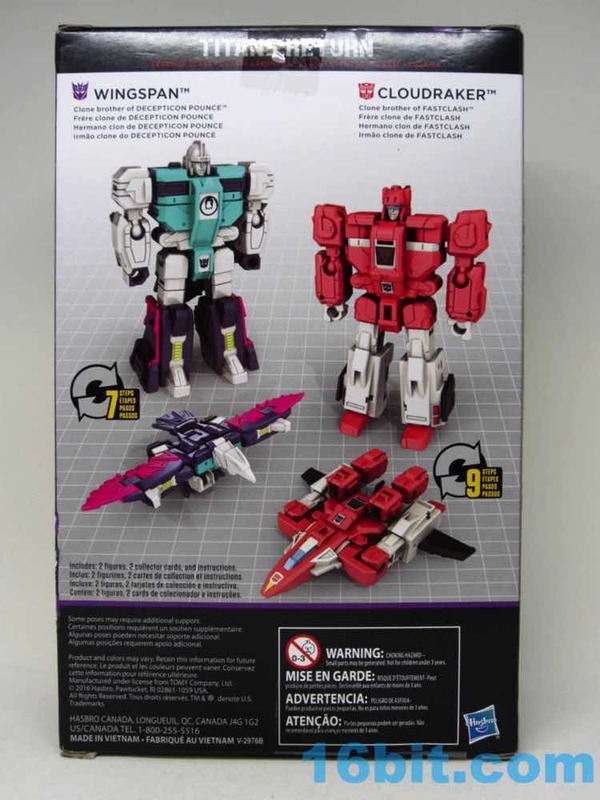 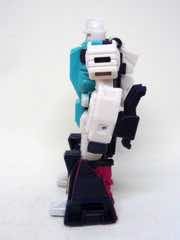 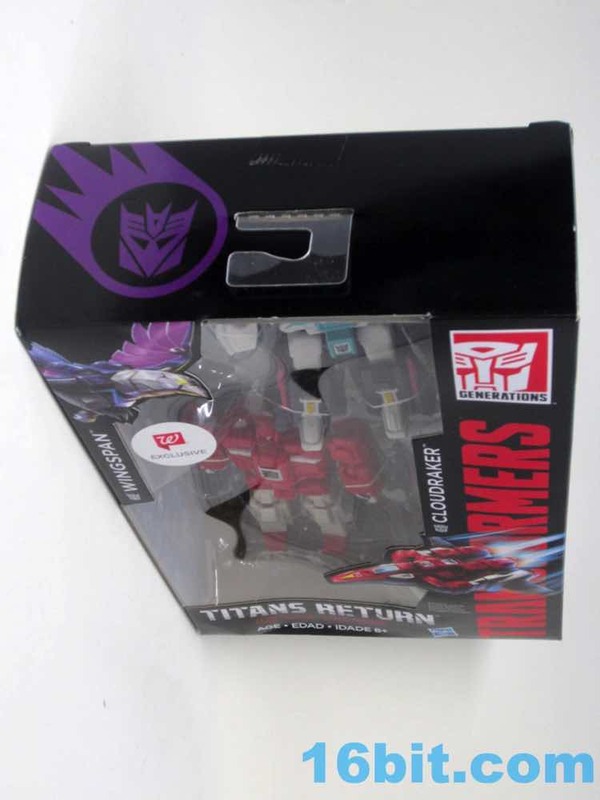 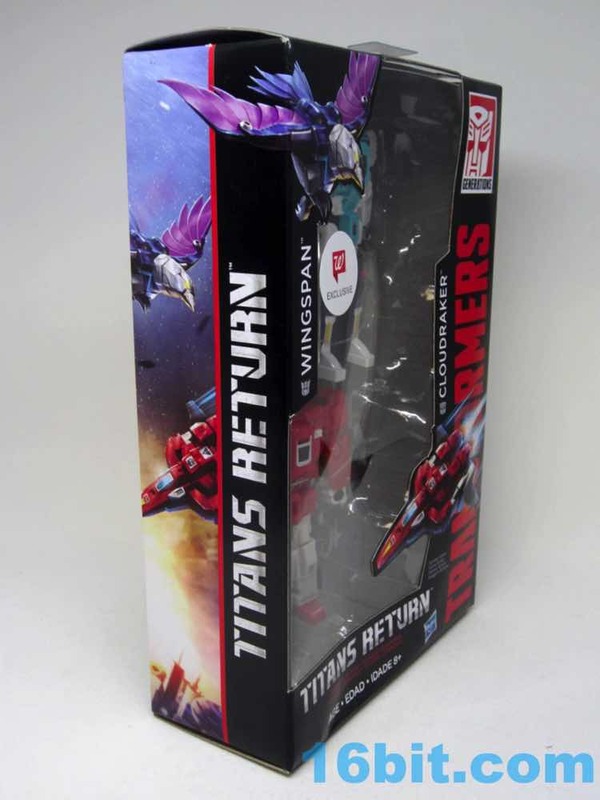 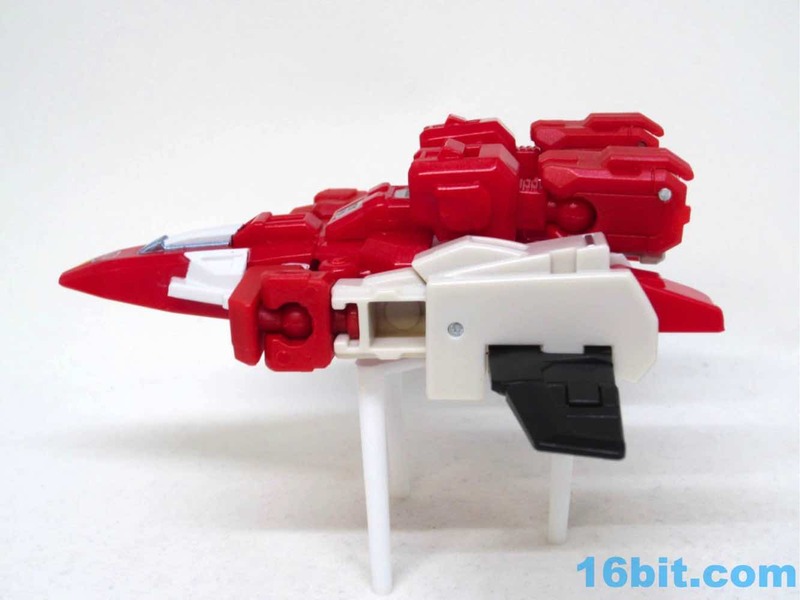 Wingspan shares parts with Pounce, and Cloudraker shares parts with Fastclash (Fastlane) - and those two were in boxed sets sold as retailer exclusives earlier this year. This gets the figures out to fans before they whip out the torches and pichforks for doing the clones without doing all the clones. I like them a lot - the concept is amusing even if the alt modes are a little inelegant. 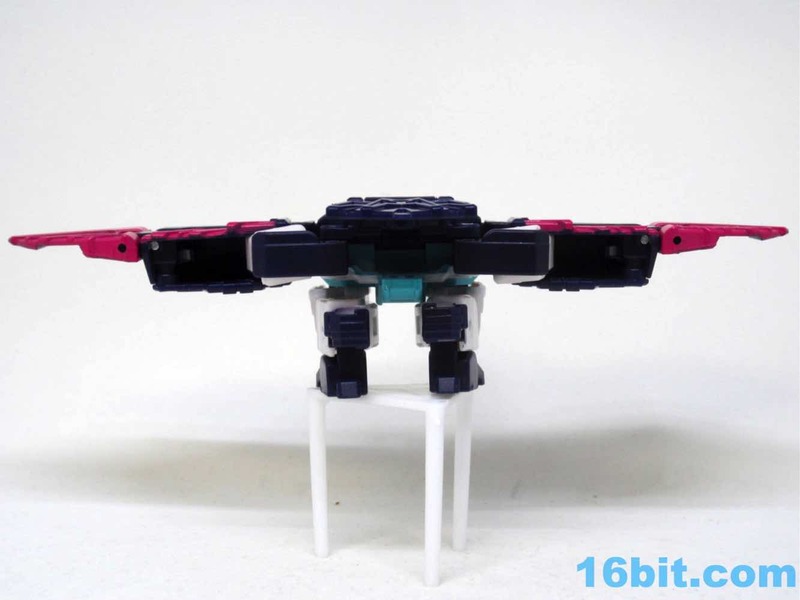 Each 4-inch robot shares engineering with one another, but seemingly no parts. 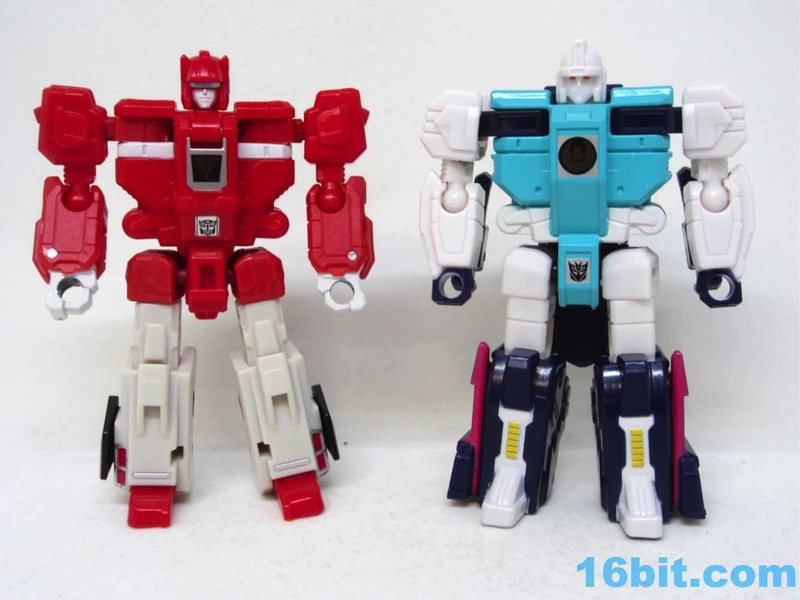 They're similar, but the Autobot and Decepticon clones don't seem to share any specific pieces other than maybe metal rivets. They share numerous pieces with their clone counterparts - but you can see some of that in the pictures. 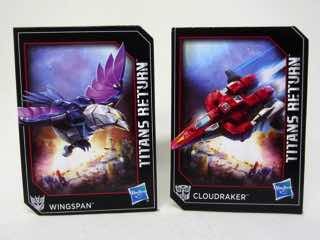 First up is Wingspan, the winner of the set. I'd go as far as to say he's the best Clone, but they're all kibble-ridden weirdness that have more in common with the weirdness of the G1 originals than, say, any of hte slightly more refined modern toys. 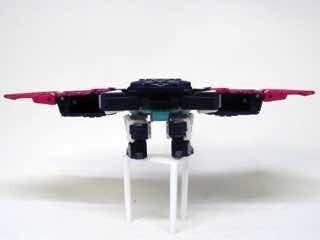 The robot has no weapons sadly, but he does have 11 useful points of articulation. 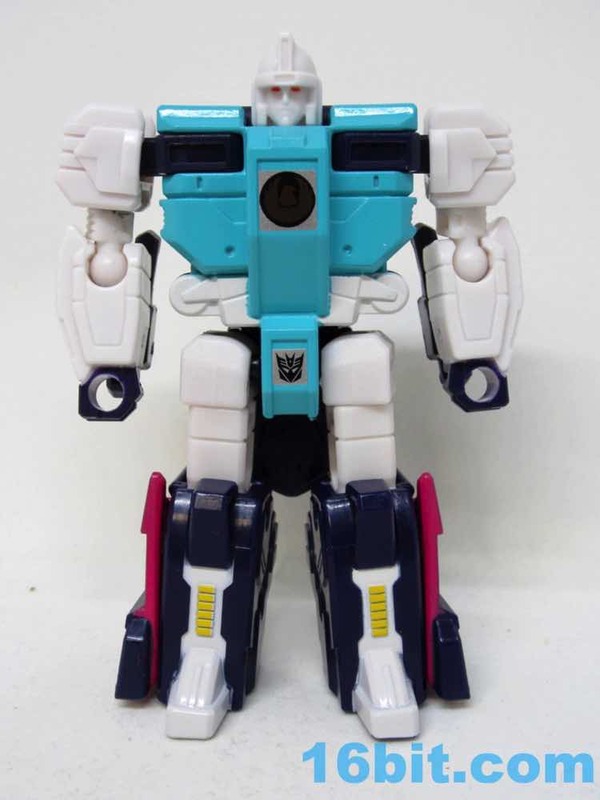 He's chunky and reminds me a lot of some of the Cybertron Scout-class toys of 2005-2006 - wide, bulky, and fun. 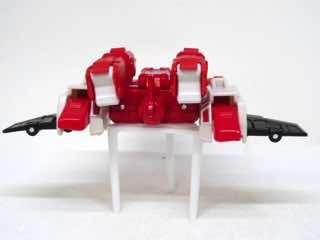 I wish he had blasters. 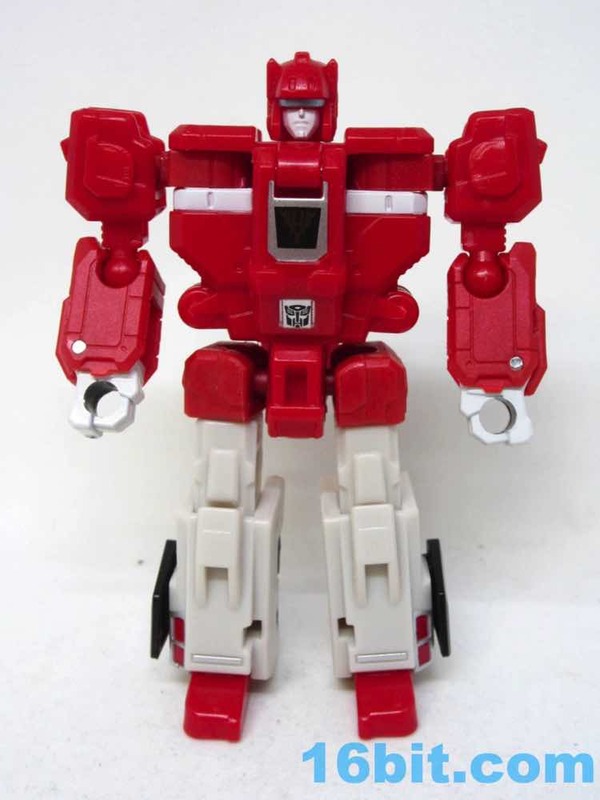 The robot does an exquisite job of being "G1 with knees" - it looks a lot like the original, although it lacks a few sticker details. The white face, orange eyes, black fists, and tampos (as rubsign stand-ins) all look great. 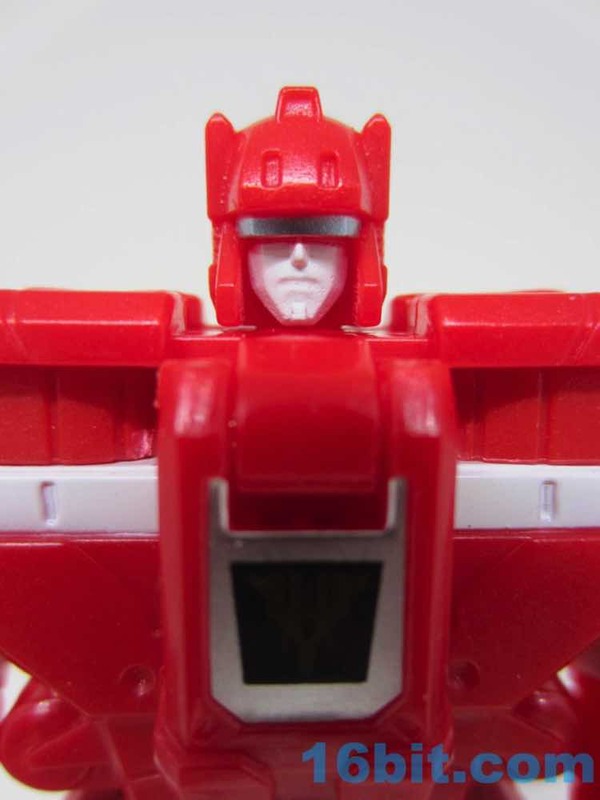 There's a subtle brown bird shadow in the circle on his chest, and this was originally done so you could tell the "identical" clones apart. 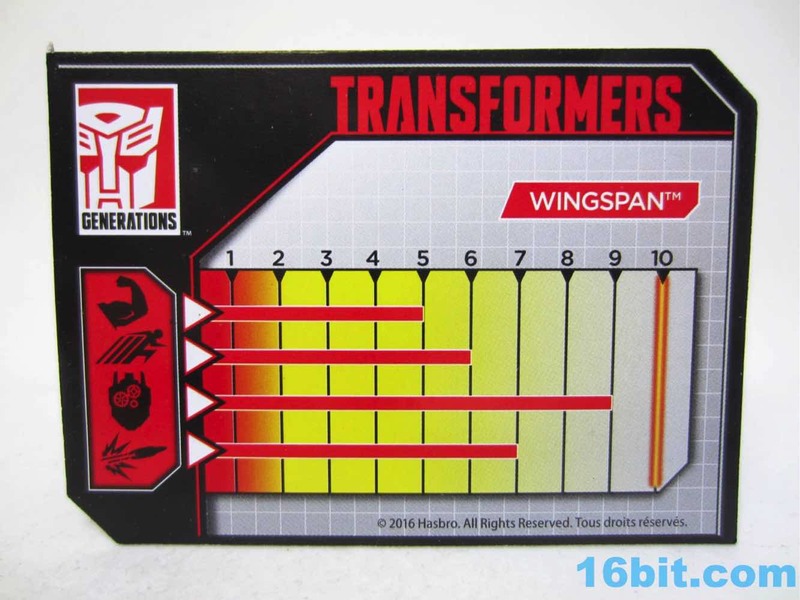 This is all marketing - all you had to do was look at the figure from the side or behind and see the kibble to know if it was Pounce or Wingspan. If the wings or cat head didn't give it away, you deserved to have the toy break. 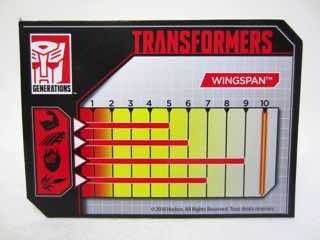 Transformation is easy and satisfying. 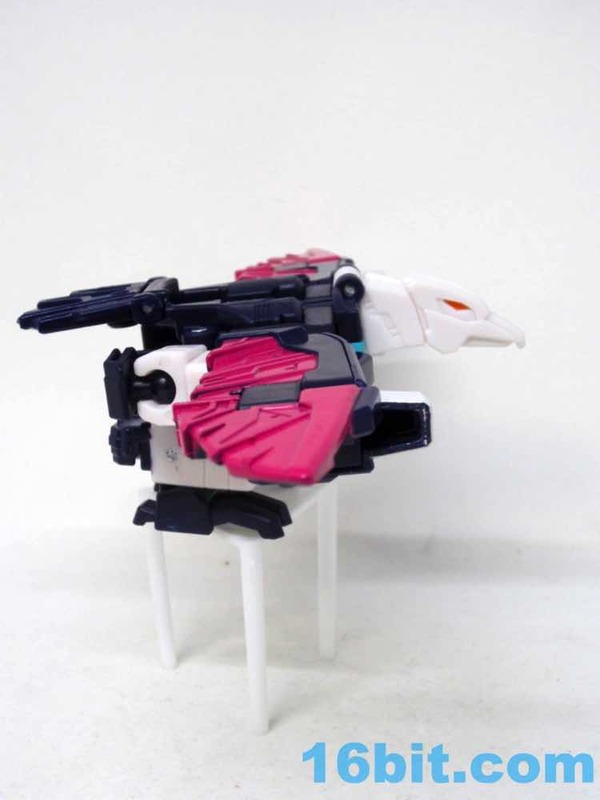 The wings are really wide with bright pink feathers, and there are nifty robo bird feet growing out of his arms. It's fun to change modes, but the figure lacks the original's weapons. 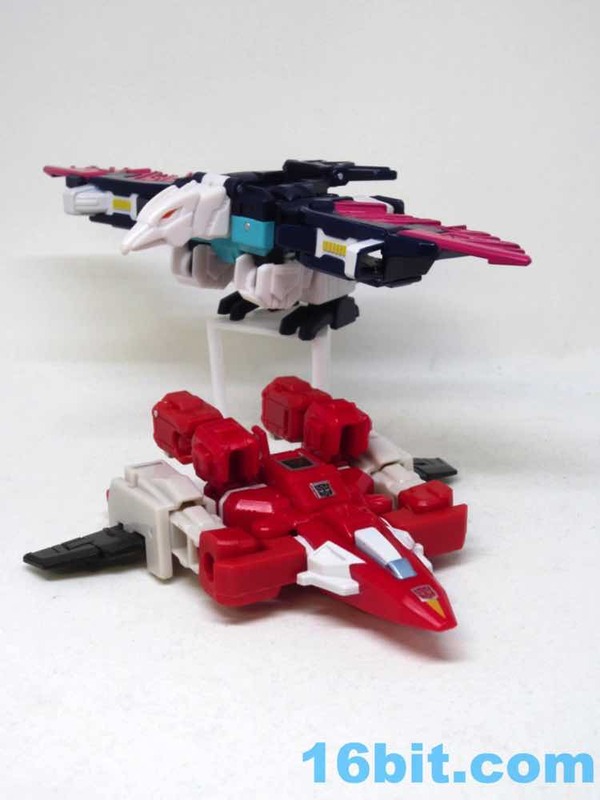 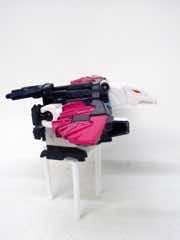 This means neither the robot nor the bird mode are armed. 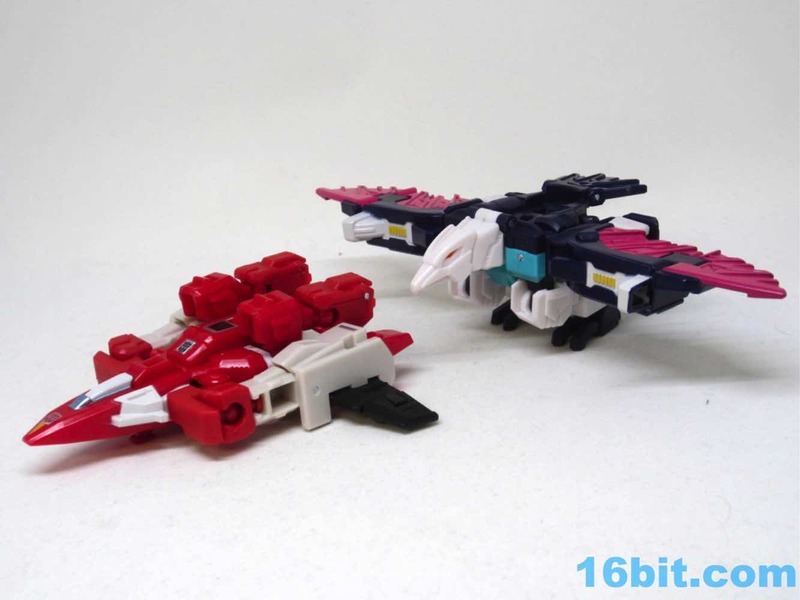 I wish they charged us an extra buck or two and gave us the weapons, but such is life, and such is why Trent Troop's Shapeways store is popular. 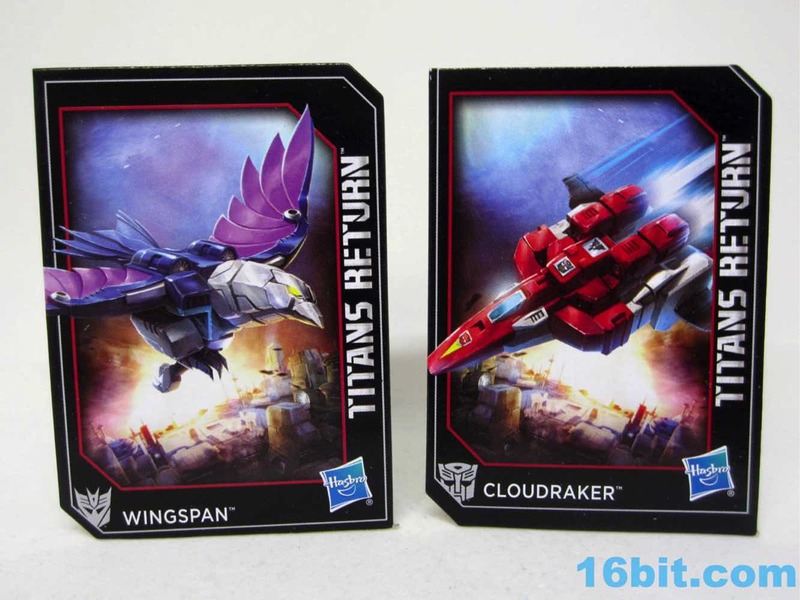 The bird looks like a good update of the original, an improvement, but still a wild late-1980s toy by design. 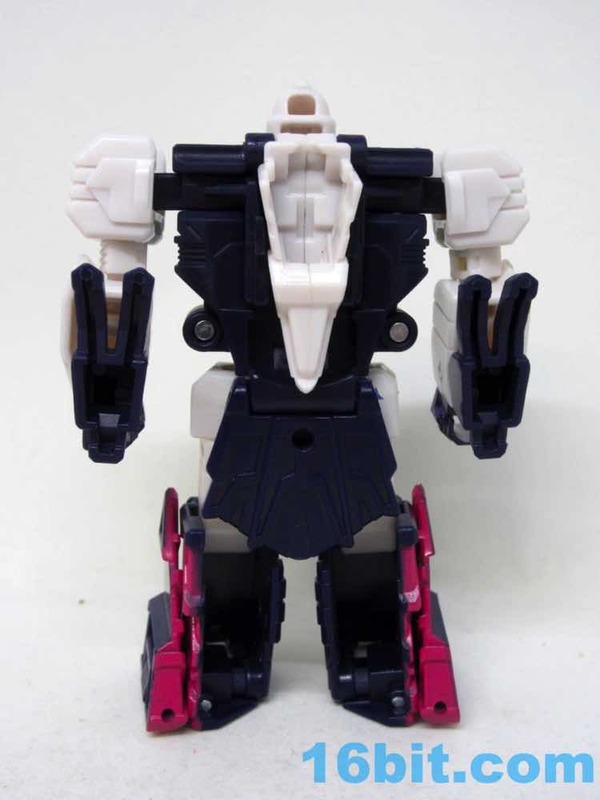 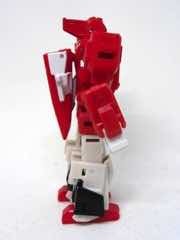 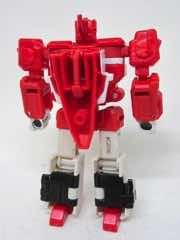 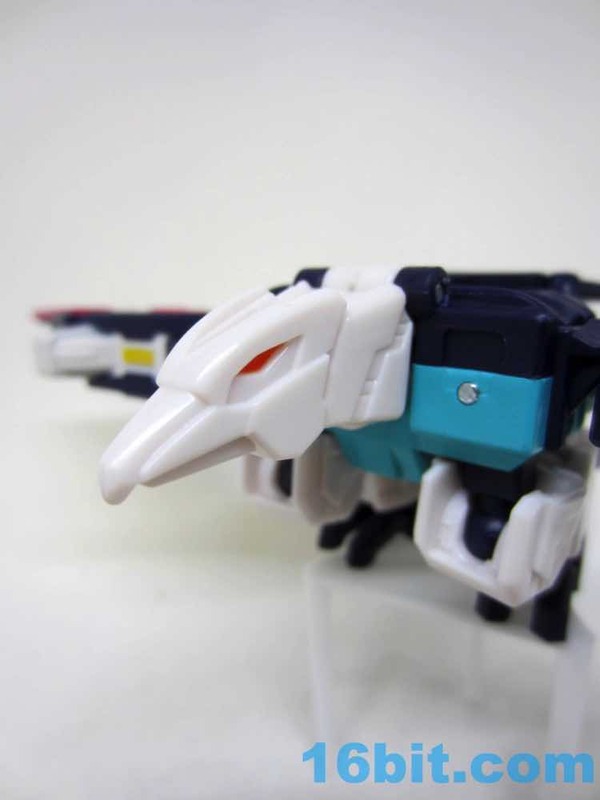 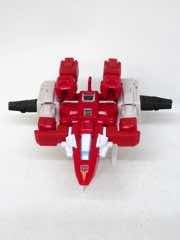 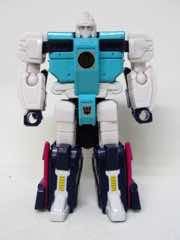 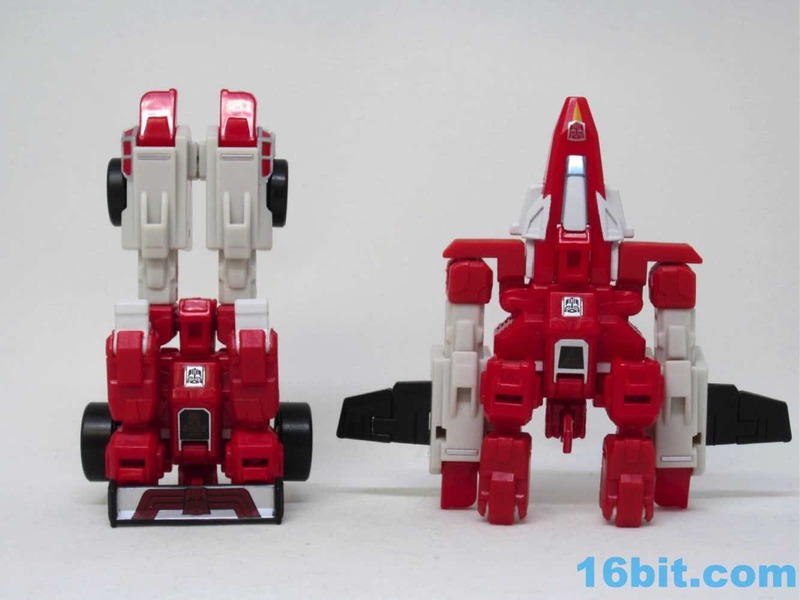 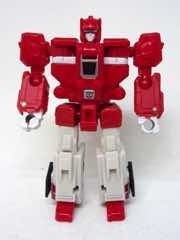 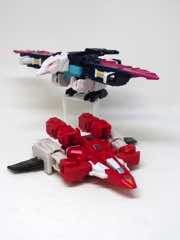 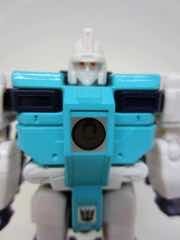 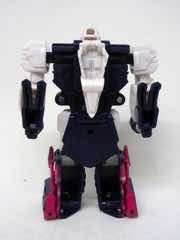 Also neat is Cloudraker, which is also an 11-jointed 4-inch robot with a fake sticker on his chest indicating his transformation to space fighter of some sort. 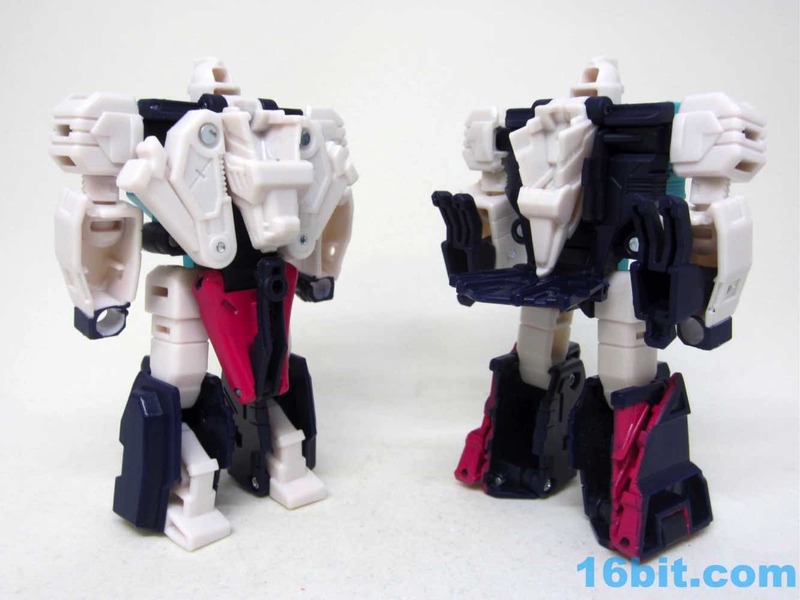 A few pieces changed, but some are the same - and they're awkward. 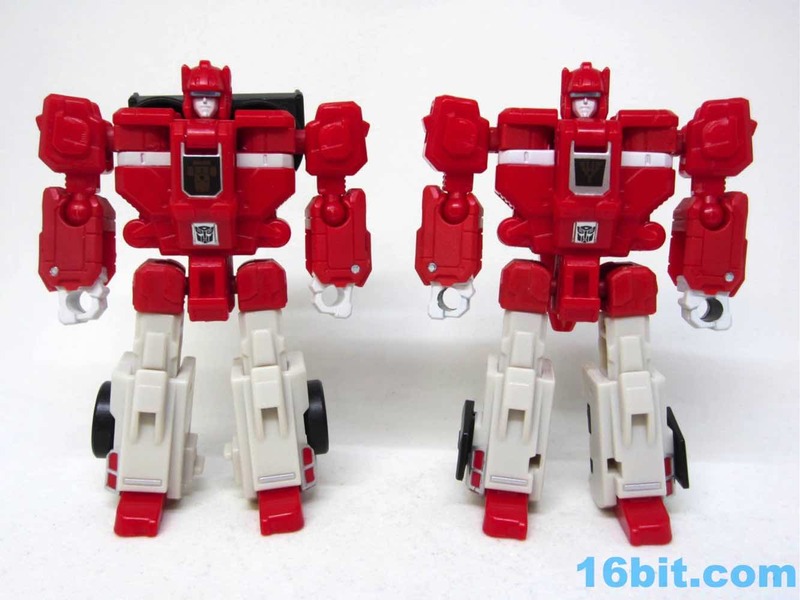 The robot itself is incredibly similar to its clone brother, and also has no guns. 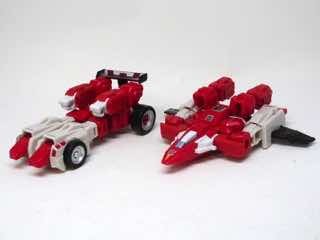 The toy adds some paint to the face so it matches the new Fastclash but not the original toy - the original Cloudraker had a red head with a blue visor. 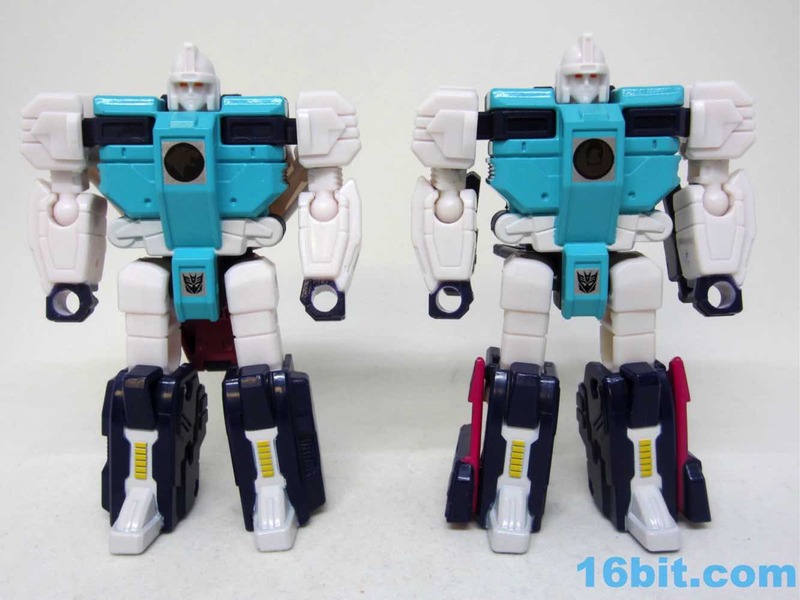 I don't know why they made the change, but it's an improvement. 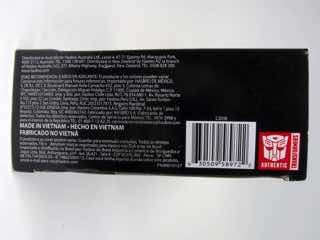 Much like the others, the toy lacks a lot of the original's sticker details. 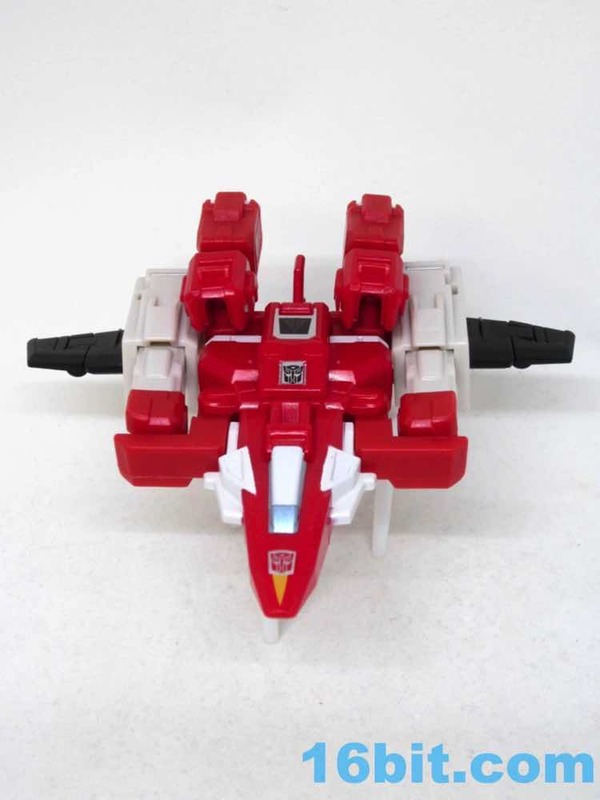 Transformation is easy, and the resulting jet mode is a little silly. 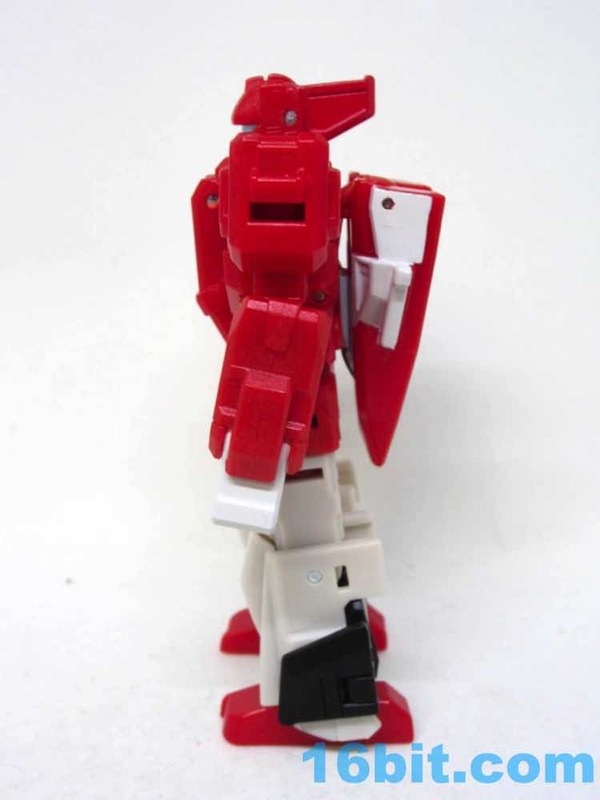 The arms just hang off the back, and that's goofy. 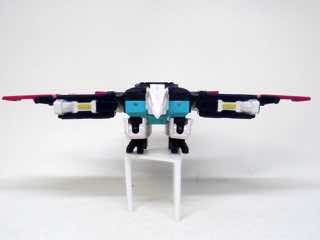 The wings look perfectly fine, and they fold out of the legs nicely. 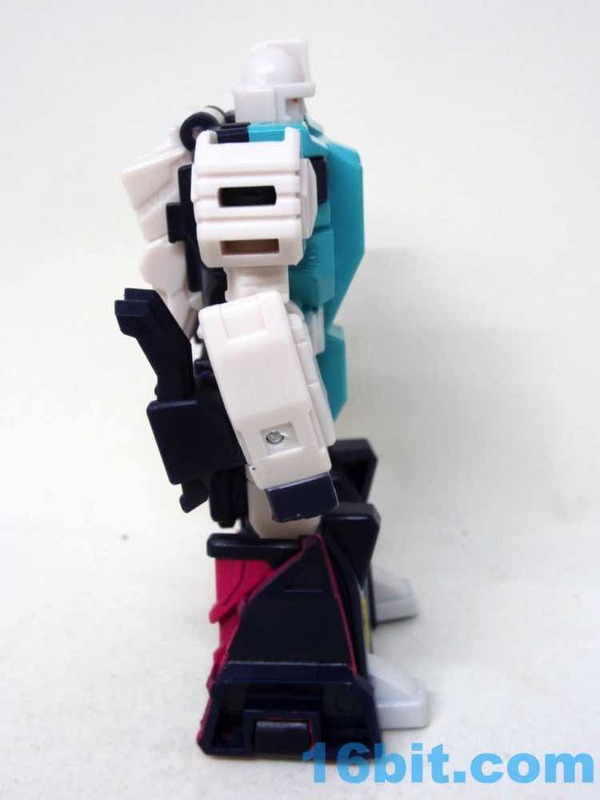 The robot has a good silhouette, and the jet looks like something you used to fight aliens in arcades in the 1980s. 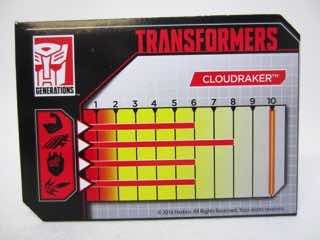 It's charming - but it's not exactly amazing. It has a retractable landing skid, and the appeal is mostly the novelty of the clone idea. 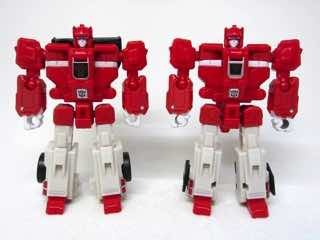 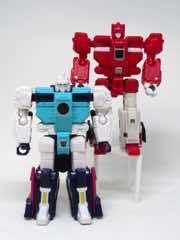 Rarely would I suggest getting a set of nearly identical robots to complete a set, but in this case it's the point. 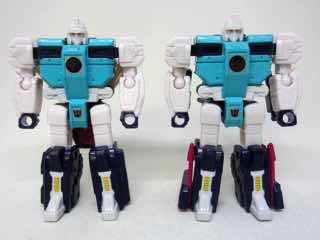 Selling the clones apart makes sense from making them look more appealing, but it removes the core gimmick. 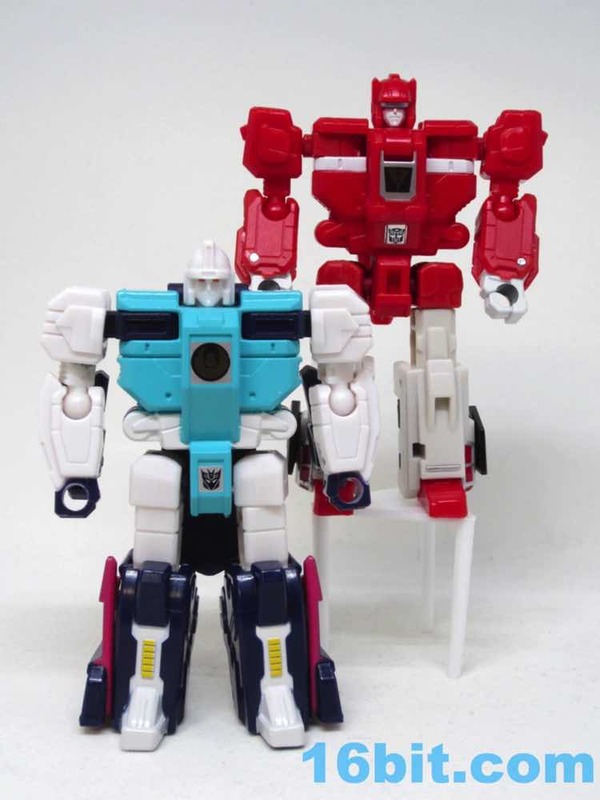 They're fun, goofy toys I'd recommend to anyone who loves the older toys - but if you don't have a G1 hangup, maybe you don't need these. 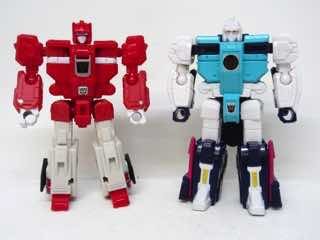 I do, I think they're the tops.